Product Updates is a regular Dojo announcement that keeps you in the loop with everything new at RealtyNinja by highlighting our most recent product improvements. Here’s a summary of everything we released in the last couple months. This is our first ever edition of Product Updates, and it comes at after a massive development period at RealtyNinja which primarily focused on the launch of Katana at the start of the year. That means we have a TON of information to share with you today. KATANA LAUNCHED! After thousands of man-hours for almost 2 straight years in development! When editing a page or blog post and you hit cancel, you now see a warning asking “are you sure?” to avoid mistakes. Show count of posts in blog category/archive drop-down list. The buttons for changing a blog posts date or category have been combined into one button with a drop-down menu, also makes it so that the editor buttons don’t disappear on small screens! Our good friend and long-time customer, Craig Veroni, has been making headlines through his dedication to video marketing so far in 2018. 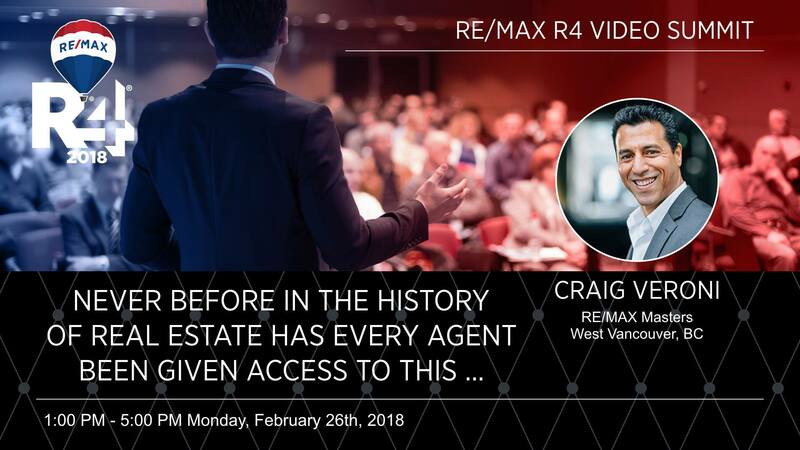 Just this past February, Craig was invited to be a speaker at the RE/MAX R4 Video Summit in Las Vegas, Nevada. R4 is the largest RE/MAX convention in the world with an international attendance of over 7,000 RE/MAX agents. Craig even helped us out with video testimonial about his Katana real estate website! We’re extremely proud to show off our ninja customers, like Craig, who are on the cutting edge of real estate marketing. Every 2 weeks we host a live customer success webinar that covers overall website marketing, as well as on-site and off-site optimization tactics. We will show you how to get the most out of your RealtyNinja website after you’ve launched! Did you know that we provide our customers with a sweet assortment of deals and discounts from 3rd party companies that REALTORS® love? Browse deals and claim your favourites in the Marketplace. Want a quick and painless audit of your real estate website? Visit this link, answer 15 multiple choice questions and we’ll give your website an automated rank (AND a bunch of great suggestions!) based on your responses. AIDA is a sales model (Attention, Interest, Desire, Action) and can be used to write highly converting sales copy (aka Listing Descriptions!) Take your property descriptions to new heights by using this downloadable spreadsheet. Learn everything from basic website editor functions, to advanced marketing tactics via our YouTube channel. We’re always adding more helpful videos to the channel so please subscribe so you don’t miss anything.